This is a month long period in which I have not posted a single post.I got busy with my other assignments and was on leave so I was not in touch with tech world.This is my past one month story.Have you tried any program which pay you to get SMS on your mobile?Have you got any check or was this scam?I have one such a program that is Mginger.I joined this program nearly 1 year before but I was ignoring this program due to low income but overall not bad to earn even a penny daily.This is better than atleast penny. What is Mginger?This is mobile advertisement program in which advertisers pay to Mginger to advertise their products and Mginger pays us a portion from advertisement income.You will get SMS on your mobile .Each and every SMS will make you rich by 20 paise and you get awarded 10 paise per SMS for your direct referral .Extra source of income is referral system.Refer your friend and get Rs2 or Rs3 for verified member. 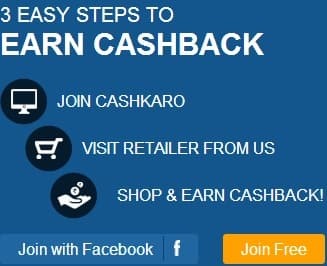 The minimum payout is Rs300.You can earn this amount within 2-3 months.What have you to do- refer your friends.If you read 10 SMS daily and you have referred 10 persons.Your earning will be Rs(.20*10*30=60) and Rs(.10*10*30=30).Total Rs90 per month due to SMS only.Participate in contests and use coupons to earn extra. You are not going to loose anything but you have an opportunity to earn some extra income just reading SMS.if you do not want ,refer your friends to earn.Keep reading ,we are updating regularly and bring new easy to earn online programs.Join Mginger free with sign up bonus.